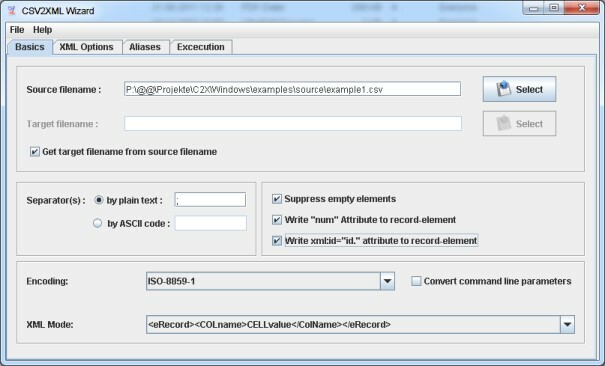 C2X-CMD is a generic freeware converter for converting CSV files to XML files. C2X-CMD is a command line tool which is available for several operation systems. You may download the java based frontend c2x-wizard which helps you to use c2x-cmd.